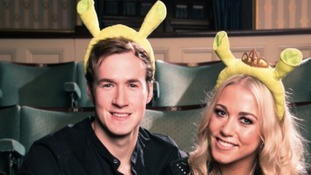 It's been announced that The X Factor and Celebrity Big Brother star Amelia Lily will play Princess Fiona in Shrek the Musical. The X Factor dubbed her the come-back kid, and Teesside's Amelia Lily is living up to the name! She's been speaking to Rachel Sweeney. Former X Factor star, and Middlesbrough lass, Amelia Lily has announced that she will be supporting Girls Aloud on their UK tour. Amelia Lily was a finalist in the 2011 series of X Factor and has gone on to release two hit singles. Amelia Lily will share the stage with geordie royalty Cheryl Cole as they kick off their tour in Newcastle tomorrow (February 21st). For more details on the tour, click here. "I'm still a typical northern lass"
Teesside's Amelia Lily has been back performing in the region, two years after the X Factor auditions that changed her life. The star, originally from Middlesbrough, spoke to our reporter Lucy Taylor earlier after she performed her new single. X-Factor finalist Amelia Lily will perform her new single Shut Up (And Give Me Whatever You Got) for winning radio listeners at Metro Radio in Newcastle. The singer from Teesside reached number two in the charts last year with her debut, You Bring Me Joy. 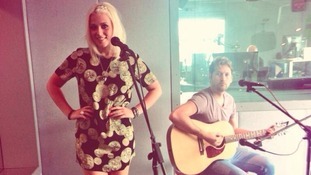 Amelia Lily has returned to the North East to promote her new single "You Bring Me Joy'. The 17-year-old was voted off the X-Factor only to be voted back on to take third position in the ITV show.